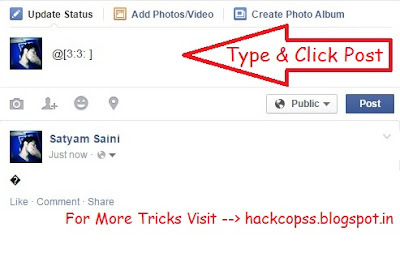 Step 1:- Firstly Login to your Facebook Account. Step 2:- Enter @[3:3: ] in the Status Box and click on Post Button. Here is it, after clicking on Post Button your status will be updated as “Blank Status”. How to fix (process com.facebook.orca) has stopped unxpectedly. Copyright © Hackcopss (P) Ltd. All rights reserved.. Picture Window theme. Theme images by enot-poloskun. Powered by Blogger.